Welcome to this week's little loves post. 1. Write Like No One's Watching. Everyone loves Charlotte's blog and it's easy to see why. My favourite post from Charlotte this week was this one here which is her birthday wish list! I have a birthday coming up soon too, so it was interesting to see what was on her list. 2. Life As Our Little Family. My favourite post from this blog was this one here about focus. Sometimes we lose focus or track of what;s important, getting so caught up in bills or deadlines or homework etc. Kerri-Ann talks about how she is going to make this year more about 'Being More in 2015' It was a really interesting and enjoyable read and I have also made similar plans in my head. 3. To Become Mum. Kelly wrote a post this week, for her PIP theme, about 'me time.' I don't know about you, but as a mum we sometimes to forget to look after ourselves, especially without feeling guilty about it. Oh my goodness, Broadchurch. I know it is getting mixed reviews for series 2 and, whilst I don't think it's as good as series 1, I am so enjoying it! I was trawling through my old Ipod the other day, ready to sell it, and came across Amy Winehouse's album that I'd forgotten was on there. This is my favorite track from it and I am sure you will recognise the original was featured in the film Dirty Dancing. In the run up to Christmas I saw the London Bridge fabric from Cath Kidston everywhere. Late to the party as usual, I only cottoned on to how much I actually love the design last week! 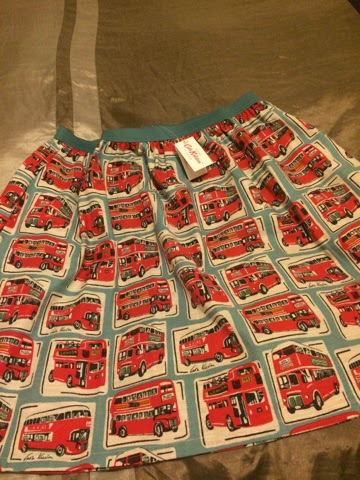 Not one to miss anything special, I quickly googled the skirt in the fabric and managed to find one in the sale on ebay! Win! It is absolutely gorgeous! Well since our oven packed in, I have made a lot of fried things as only the hob on the top worked. UNTIL I came across a slow cooker recipe for Lasagne, yes you heard that right Lasagne. In fact, when you think about it, it's not that much different to putting it in the oven in a dish, just cooking it longer. So I gave it a go and it was epic! I even managed to cook up some chips and garlic bread in our convection oven microwave thing - didn't even know it had that facility until I was desperate for chips at the weekend! Honestly, it was amazing and I will definitely be cooking it in the slow cooker again. And lastly, I have been having a crappy couple of weeks, so I bought this bag for work to cheer me up. It's not leather and it's not designer, but it was £13.75 and even if it only lasts a year then I will be happy! It's Friday, so that means it's gin night and a good old fat take away! I've also had a play with my blog colours and text style etc, I think it looks a bit more 'fresh' and grown up. It's still not perfect, but it will do for now! I love lasagne, but I don't get on very well with my slow cooker for some reason. Maybe I should get it back out. Have a fab weekend! 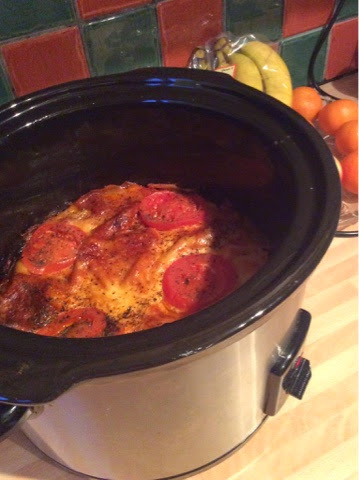 I never thought about doing a lasagne in the slow cooker, what a great idea!! I will defo be trying that out one day next week. Your Cath Kidston skirt is gorgeous, I love that print. 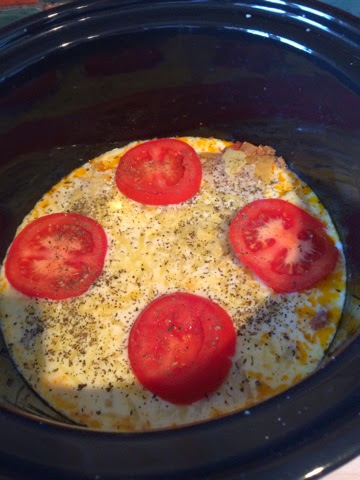 You will need to share your slow cooker lasagne recipe - would love to give that a try ^^^^ like above it will be fab for when my wee one arrives! Love your skirt, very pretty! Do you have the recipe for the Lasagne? I would love to try that as it looks delicious!